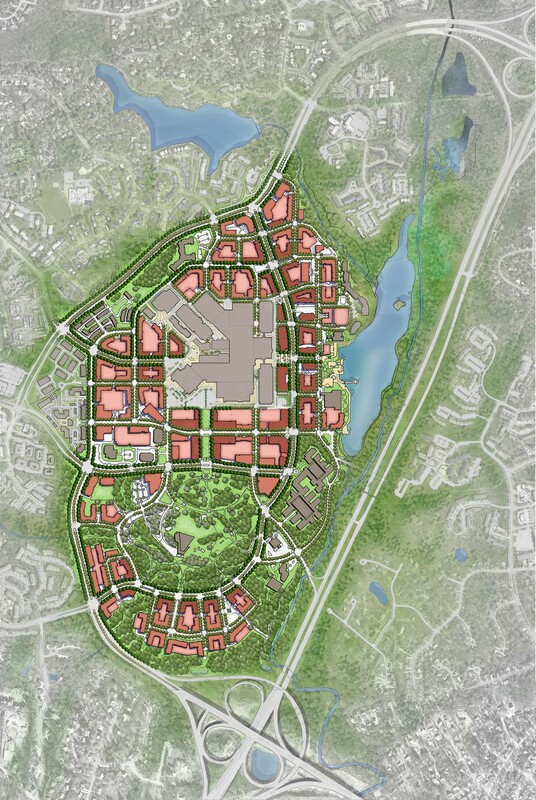 The Town Center for Columbia, one of the country's first planned communities of the 1960's, was envisioned as a vibrant, mixed-use, urban environment that would provide jobs, retail, and other destination uses for the 14,000-acre town. 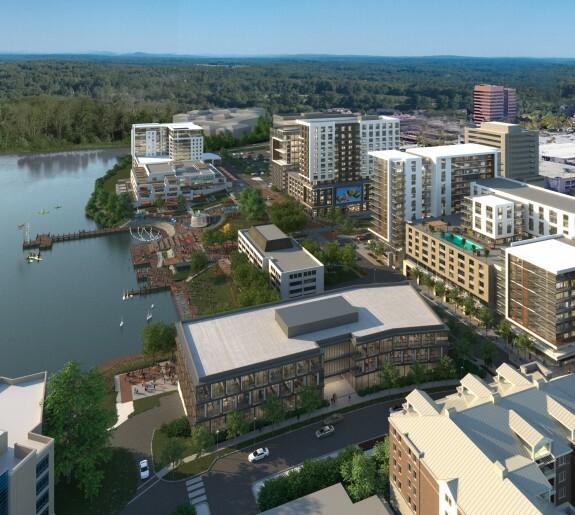 Today, Columbia's Town Center is a mostly auto-oriented destination, which includes a hugely successful and economically viable 1.4 million SF regional mall, office buildings, restaurants, and a beautifully landscaped waterfront park, amphitheatre and promenade. 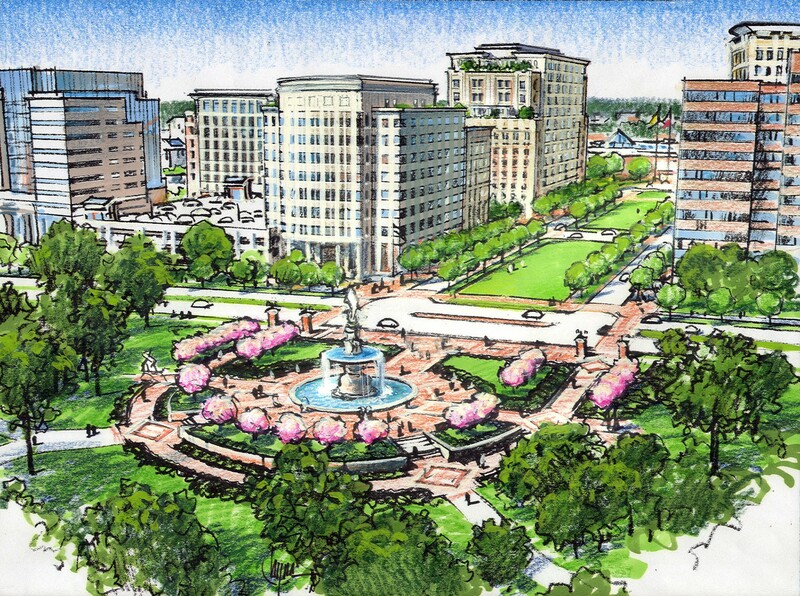 Design Collective led a week-long design charrette in an effort to establish a new 30-year vision for the Town Center. 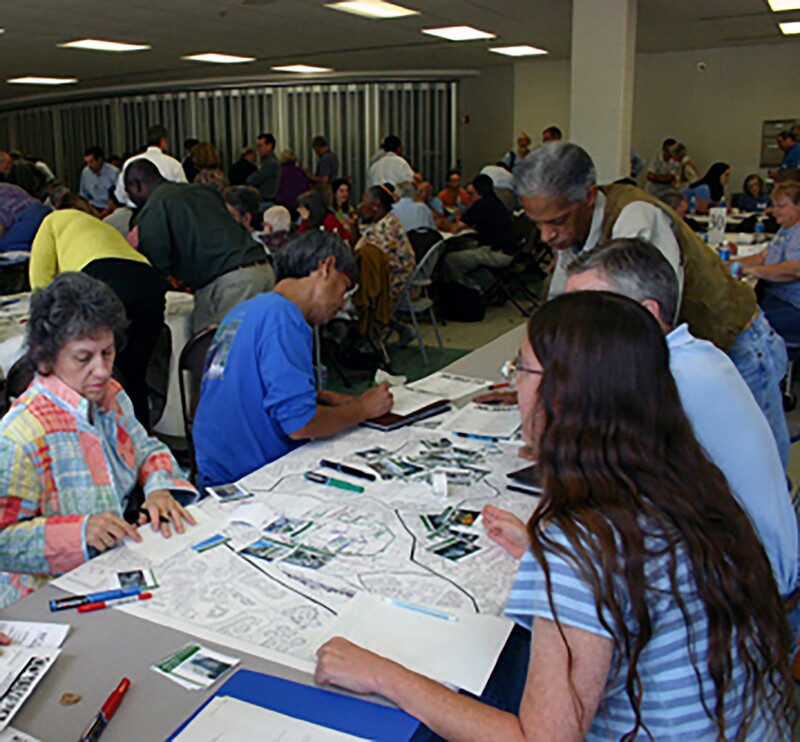 Over 1,000 residents participated. 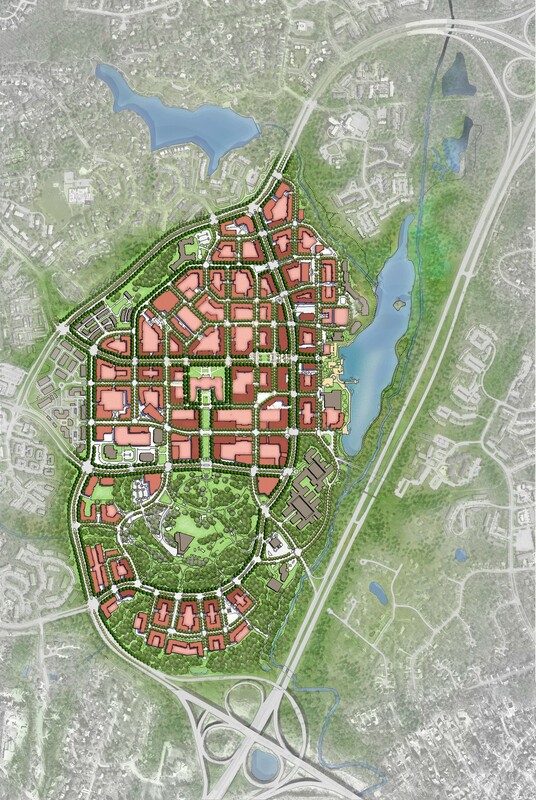 The comprehensive plan illustrates how the 500-acre Town Center could be transformed into a walkable, urban environment. 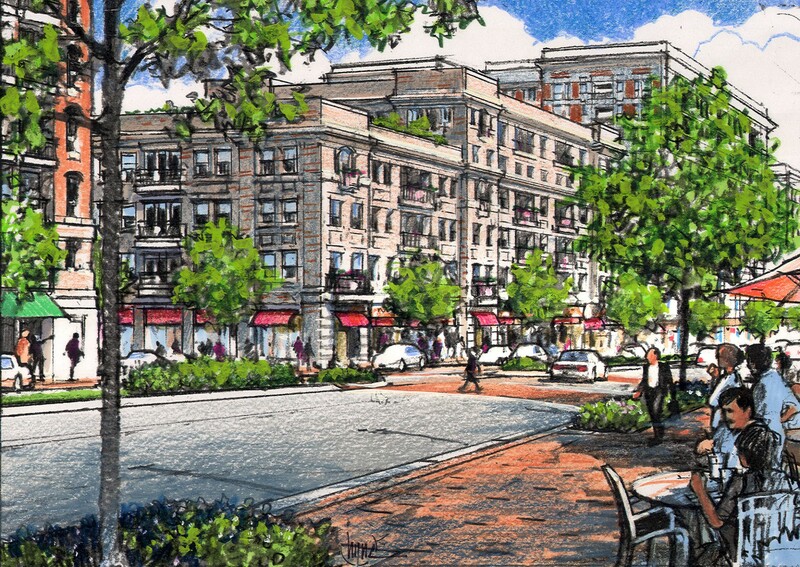 Mall parking lots become pedestrian-scaled blocks with housing and office above shops, obsolete buildings are demolished, a new corporate boulevard aligns the north side of Symphony Woods, two transit stations are included to accommodate future rail and/or Metro service, and Little Patuxent Parkway is transformed into a four-lane street with on-street parking, shops, cafes, housing and office buildings facing the street. 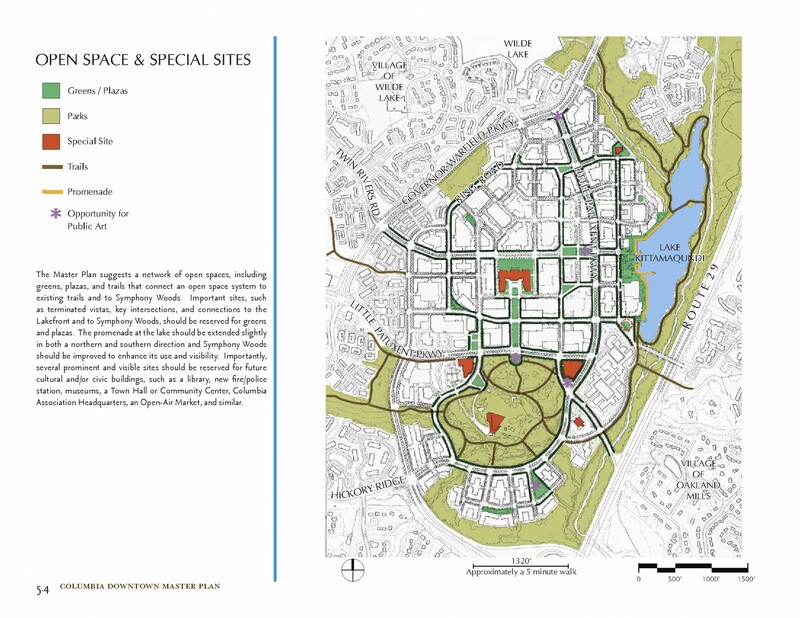 The plan includes the extension of nearby neighborhood streets to better link the neighborhoods to the Town Center. 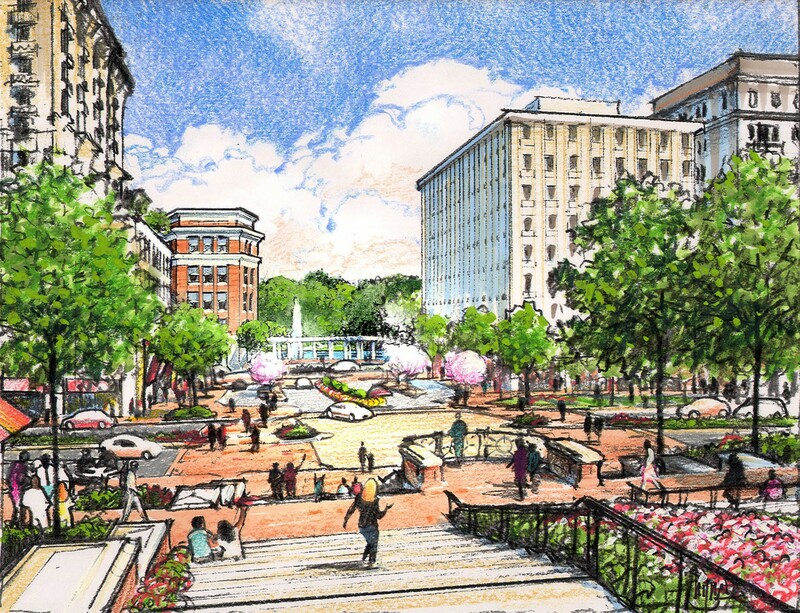 New greens, squares, and plazas are located at key intersections. 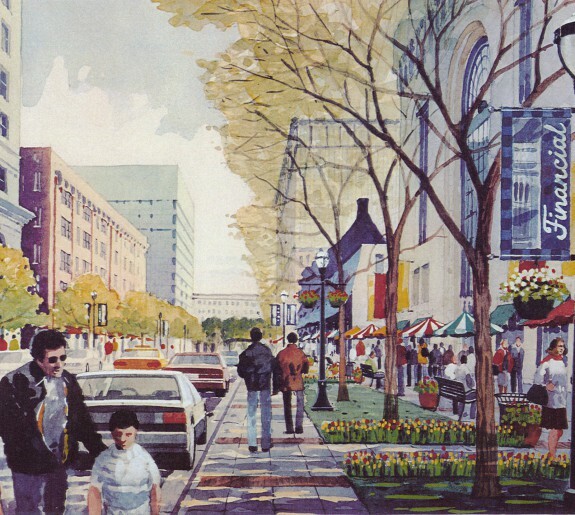 Terminated vistas and other important sites are reserved for civic and cultural buildings. 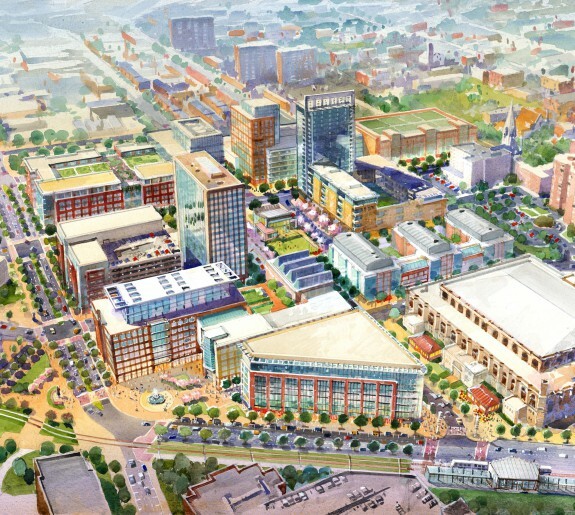 The plan also recommends demolishing the mall to complete the urban fabric of streets and blocks, transforming the Town Center into a walkable downtown.